Every store deserves an amazing Funko exclusive! In an effort to recognize their most special accounts and loyal retailers, Funko is continuing their Specialty Series with this 40th Anniversary Xenomorph POP! figure, based on Ridley Scott's original Alien film! 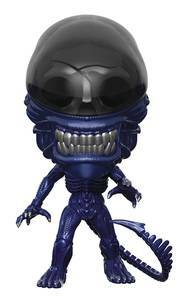 The Xenomorph figure features the stylized Funko design and stands 3 3/4' tall. Window box packaging..